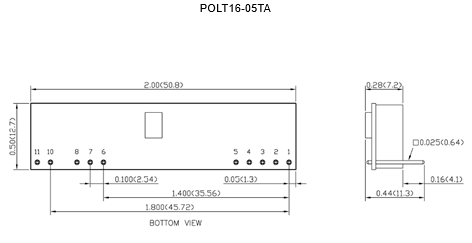 The POL16-05T series of DC/DC open frame power converters offers 16A output current rating in a compact and low profile package. 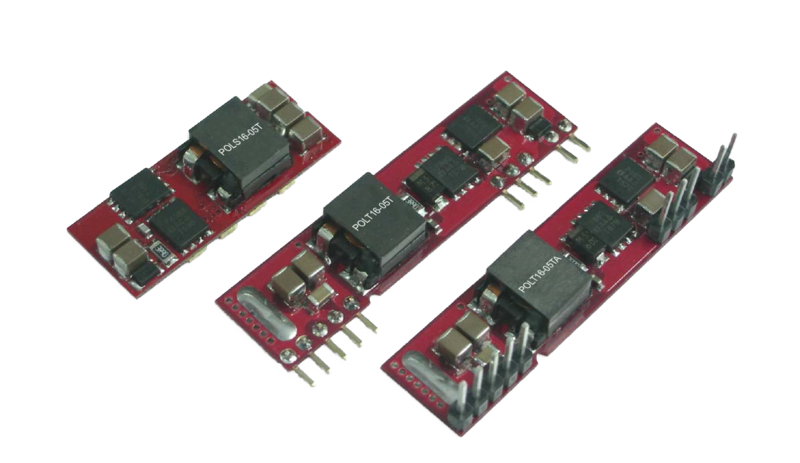 This series consists of single output models with an input voltage range of 2.4~5.5VDC. 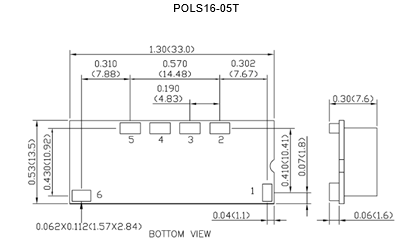 Several options are available such as SMD or SIP package and remote control positive or negative logic. Each model in this series is CE marked, compliant to RoHS II & REACH, and has over load, short circuit, and over temperature protection. This series has UL60950-1, EN60950-1, and IEC6095-1 safety approvals. Please call factory for order details. Notes: 1. It is necessary to equip the external input capacitors at the input of the module. The capacitors should connect as close as possible to the input terminals that ensuring module stability. The external Cin is 4pcs of 150µF low-ESR polymer capacitors // 4pcs of 47µF ceramic capacitors at least. 2. Output voltage programmable from 0.75V to 3.3V by connecting a single resistor (shown as trim table) between the Trim and GND pins of the module. See data sheet for equation. CAUTION: This power module is not internally fused. AN input line fuse must always be used. *Due to advances in technology, specifications subject to change without notice.